We know what an ID means now, and we know how to get them for our clients fast -- in 2019, we've already obtained an additional 800+ IDs!!! But we can't do this critical work without your help. 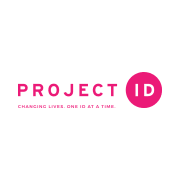 Sign up to volunteer and help Hoosiers get the documentation they need to get their ID FOR LIFE! Varies per client and volunteer. Minimum 1 hour per week. Navigating BMV documentation, going to BMV locations, going to the Social Security office, monthly meetings with your area leader.